Whether grilled or stuffed on a buttery roll, lobster is classic for summer. But there's another amazing way to use this delicious crustacean. Here, seven amazing pastas to make with fresh summer lobster. Lobster combined with fresh basil and tomato makes an excellent summer pasta. Chef Michael Tusk amps up the pasta sauce flavor by sautéing lobster heads in raw olive oil. Wonton wrappers make easy work of this seafood-filled pasta. How do you upgrade the classic comfort food? With warm, buttery lobster. 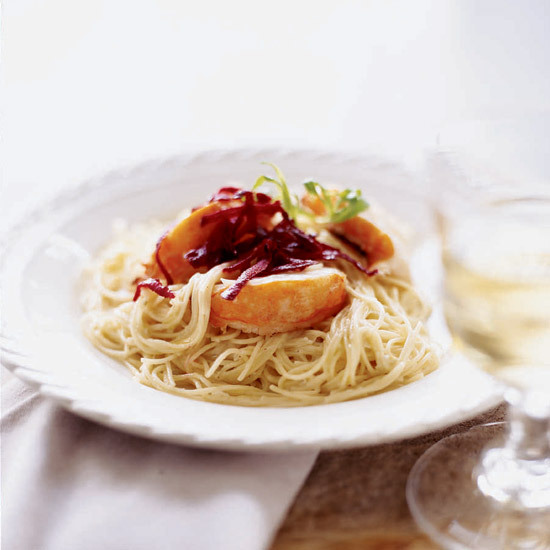 This take on the traditional Spanish seafood dish is made with fine vermicelli-like pasta. Try this rich, creamy pasta with an earthy Chardonnay. What's the secret to this incredible pasta? The tiny red eggs from female lobsters are combined with the lobster meat and a buttery sauce.